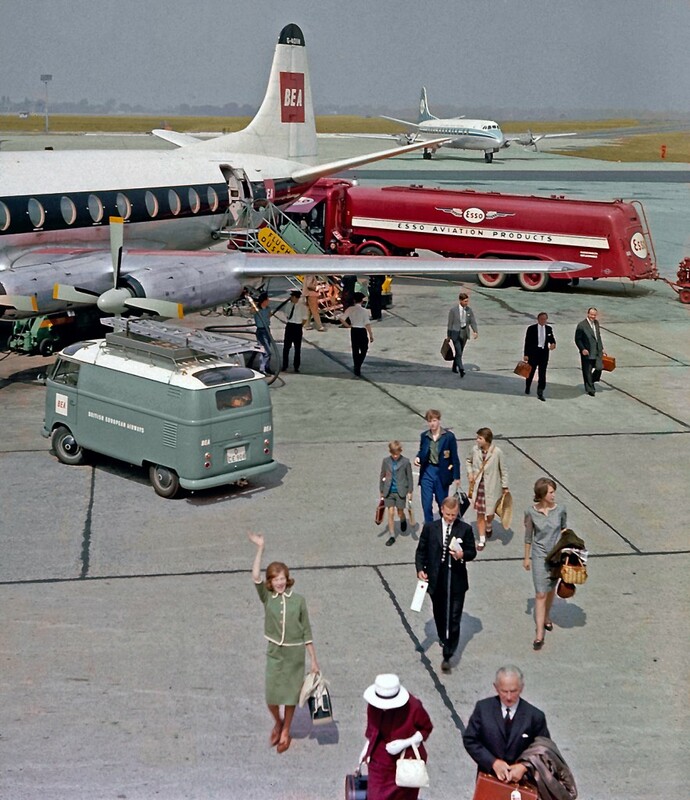 The image shown here was shot around 1963 at Dusseldorf in Germany. The subject was the young girl, then roughly 16 years old, waving in the foreground who had just arrived to holiday with the person taking the photograph. The original image was a 6x6cm Agfa film transparency and, as can be seen here, had deteriorated considerably over the years. Could it be saved?After work to correct the colour cast and remove some discolouration the image was restored to original. The red of the fuel bowser was even rendered as typical of Agfa film at the time. Looking at the clothes that people wore to fly in those days fills one with nostalgia for a bygone age.